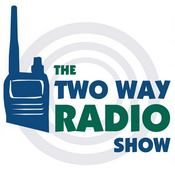 This video is an overview of our factory authorized refurbished two way radios from Kenwood. These radios include all the standard components and are covered under the same warranty as new Kenwood models. What's the catch? There isn't one. Watch the video for details. Kenwood Factory Authorized Refurbished Radios are only available from Buy Two Way Radios while supplies last. This entry was posted in Videos, Special Offers, Kenwood and tagged Kenwood, refurbished radios, reconditioned on November 28, 2018 by Rick. Kenwood Factory Authorized Refurbished Radios are here! We are excited to announce that we are now the exclusive dealer of factory authorized refurbished two way radios from Kenwood! Each radio includes all the standard components such as the battery, charger and manual, so they are complete and ready to set up out of the box. Refurbished models include the PKT-23, TK-2400V4P, TK-2400V16P, TK-3400U4P, TK-3400U16P, TK-3402U16P, TK-3230, TK-3230DX, NX-240V16P and NX-340V16P. These radios aren't some old, beat-up, used units sold on some auction site "as-is". They are tested and verified by Kenwood. Plus, they come with a full two year manufacturer warranty! Now you can save more on the most popular Kenwood ProTalk® business radios, backed with the full confidence and reliability of the Kenwood brand! Want to save even more? Purchase qualifying models of these Kenwood Authorized Factory Refurbished radios, and any current rebates apply, such as the Kenwood Gift Card and Free Multi-Charger offer! The chart below lists all the factory refurbished models and which models qualify for the Free Gift Card and Multi Charger promotion. These factory authorized refurbished radios are only available from Buy Two Way Radios, and only for a limited time. Also, a few of these models are only available in very small quantities. Our supplies are limited to current stock only, so there will be no backorders or rain checks allowed for these items. Of course, if you prefer new to refurbished, you can choose from our complete line of brand new Kenwood ProTalk business radios at great prices. However, if you want a real deal, these Kenwood Factory Authorized Refurbished Radios offer a rare, unique opportunity to buy those same Kenwood two way radios with all the advantages of the new ones and save a whole lot more. Questions? Give us a call at 1-800-584-1445 from 8 AM to 6 PM ET weekdays. This entry was posted in Special Offers, Kenwood and tagged Kenwood, specials, refurbished radios, reconditioned, discount radios on November 9, 2018 by Rick.